The Tekut Scandi Hunter fixed blade knife is a great tool for those long back country adventures. 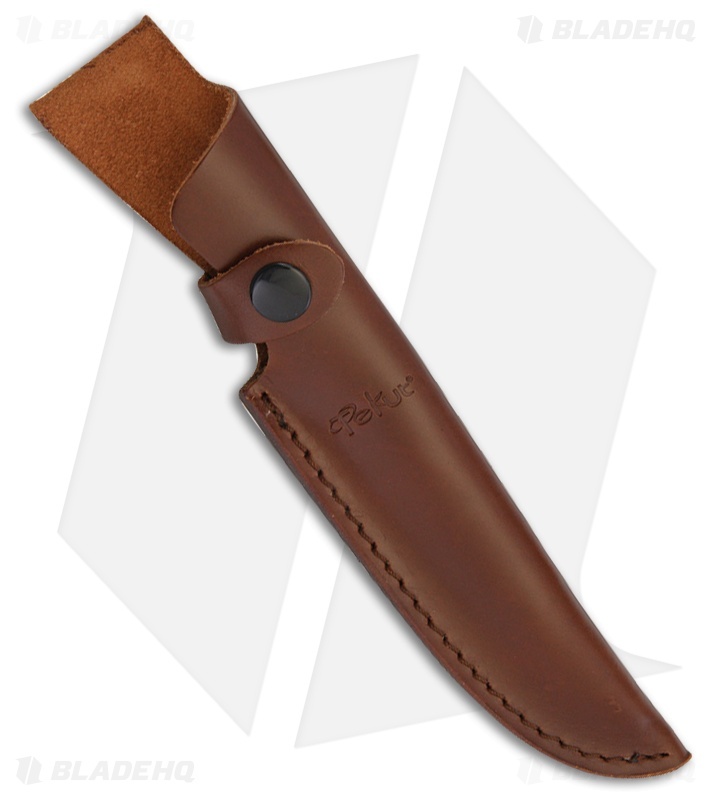 Featuring a large 5.25" satin drop point blade with a low scandi grind to make work of any of your trail or camp needs. 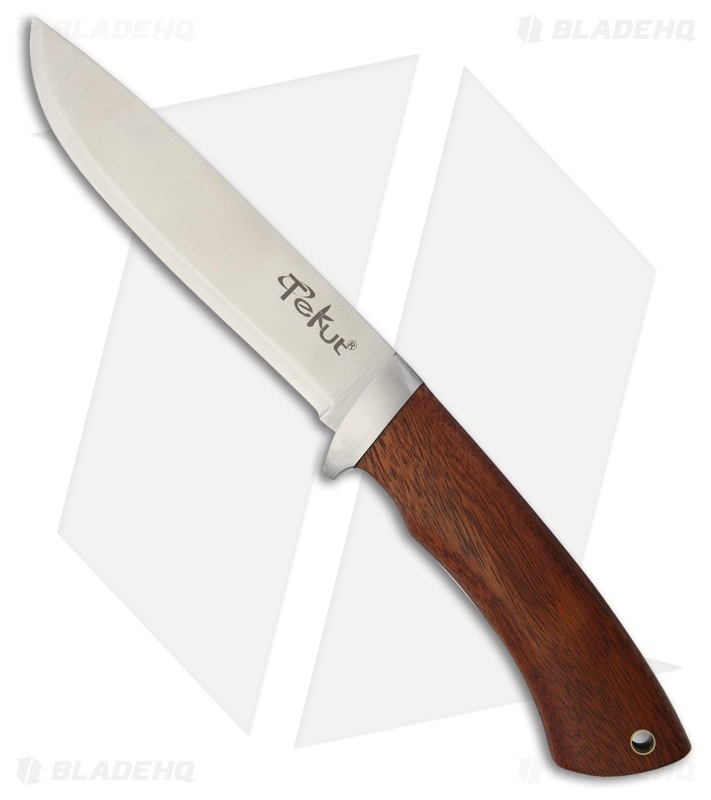 Beautiful cocobolo handle with stainless steel hand guard provides and comfortable and secure grip. Include brown leather belt sheath.